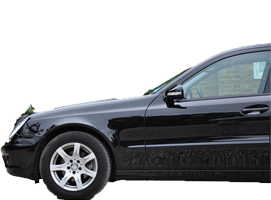 Hutton Executive Cars was formed in 1994 to provide an enhanced chauffeur driven car service for Business and indivduals in the South East of Essex. 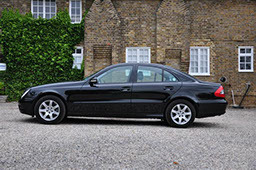 We operate both luxury and saloon cars all of which are fully licenced by Brentwood Borough Council. Our drivers are also licensed by the local authority, which of course includes criminal record checks,driver record checks, and knowledge tests. Under the personal direction of Ken Hollingworth the business has established itself as one of the leading operators in the area. We specialise in Airport Transfers both to get you to the Airport if your choice on time and in comfort, and to collect you on your return, we monitor your incoming flight to ensure that we will be waiting at the arrivals hall for you when you arrive. 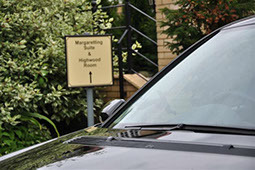 We also can take you to London Restuarants, West End Shows, Race Meetings, Docks, and Rail Stations. Please call or e-mail us when we shall be pleased assist you in planning your journey, then you can sit back, relax and leave the rest to us.